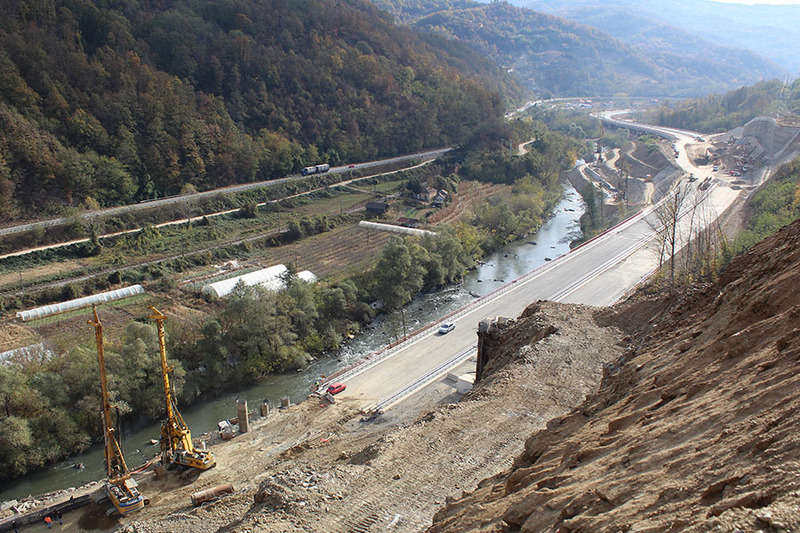 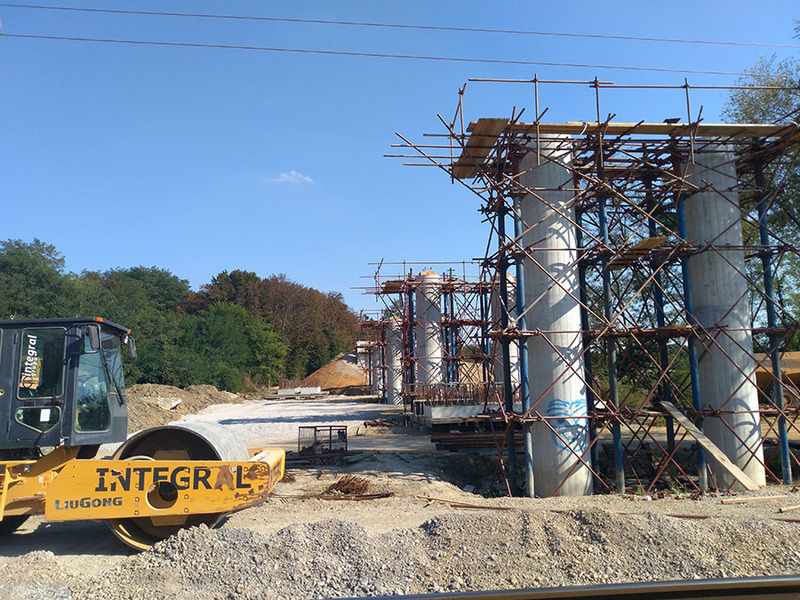 MOTORWAY E 75 ON CORRIDOR 10 IN THE REPUBLIC OF SERBIA LOT 1: INTENSIVE WORKS ON SLOPE PROTECTION (CUTS 5 AND 2) | INTEGRAL INŽENJERING a.d. 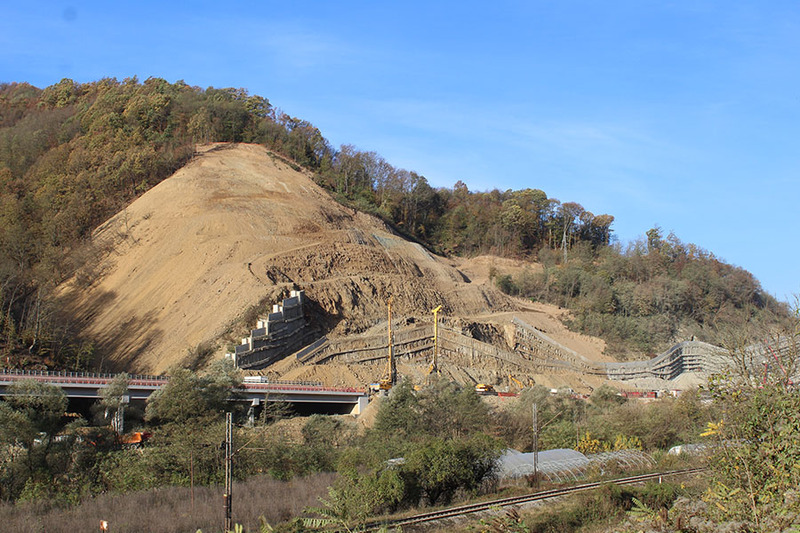 The landslide and supporting structure displacement appeared on the sections marked as Cut 5 and Cut 2 on the moroway section from Grdelica to Predejane (LOT 1, The Main Contractor was the Spanish company Azvi). 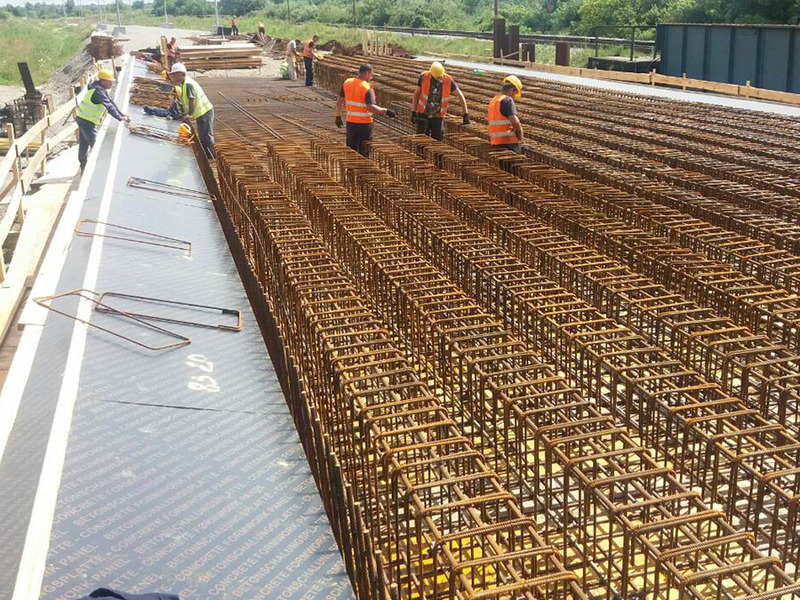 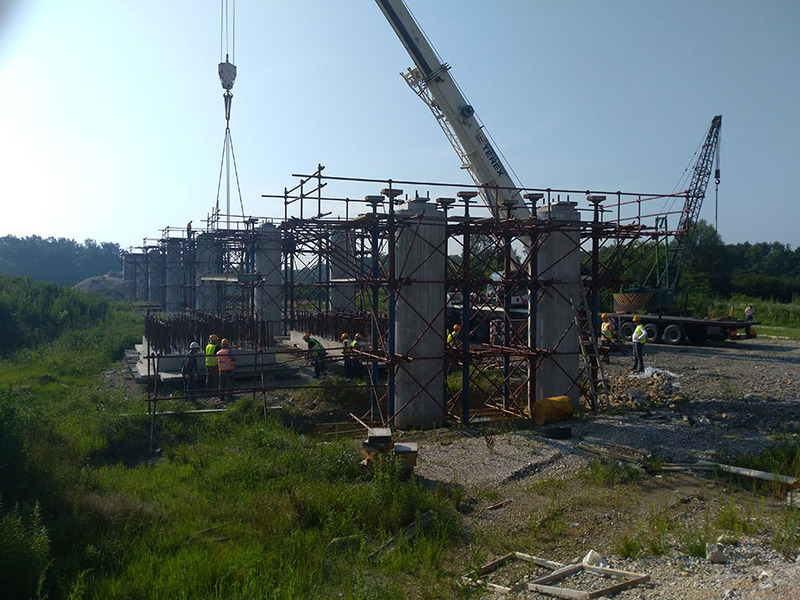 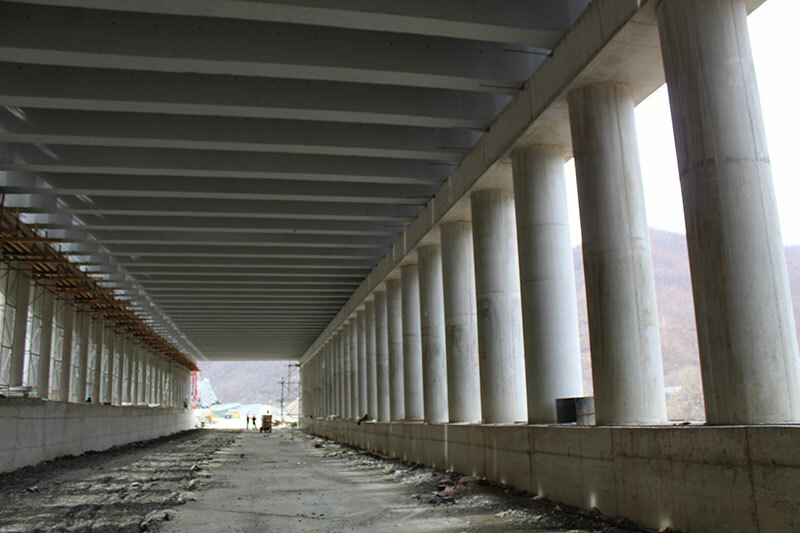 The rehabilitation of Cut 5 includes the construction of completely new supporting structures “K1” and “K3”. 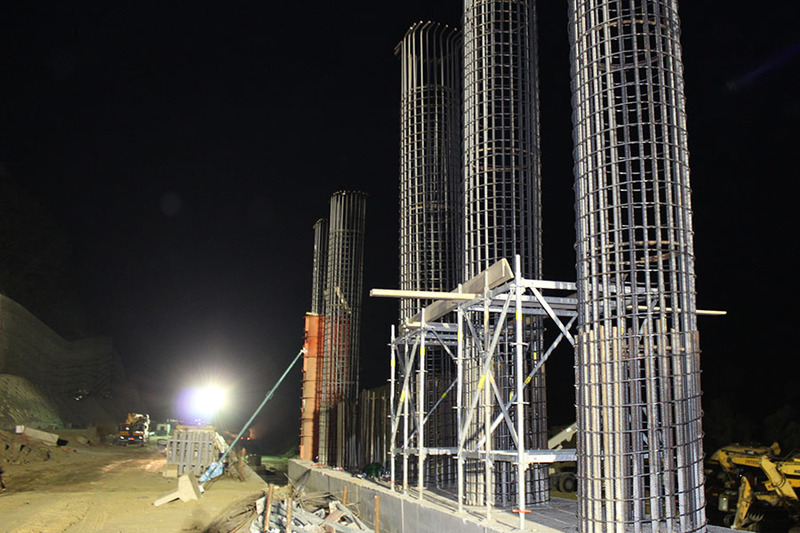 The supporting structure “K1”, whose construction is at the end, was made on piles in combination with geotechnical anchors. 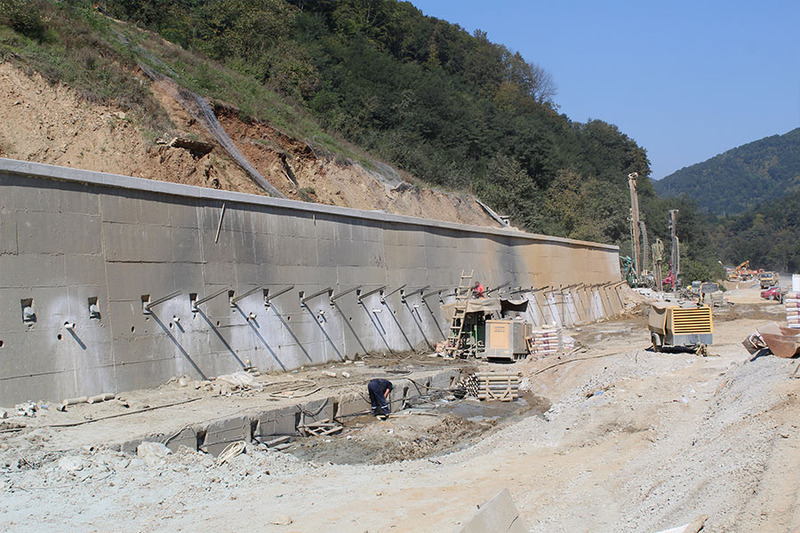 Parallel with drilling of piles, the temporary slope protection behind the wall is executed as a measure for excavation securing for the head beam. 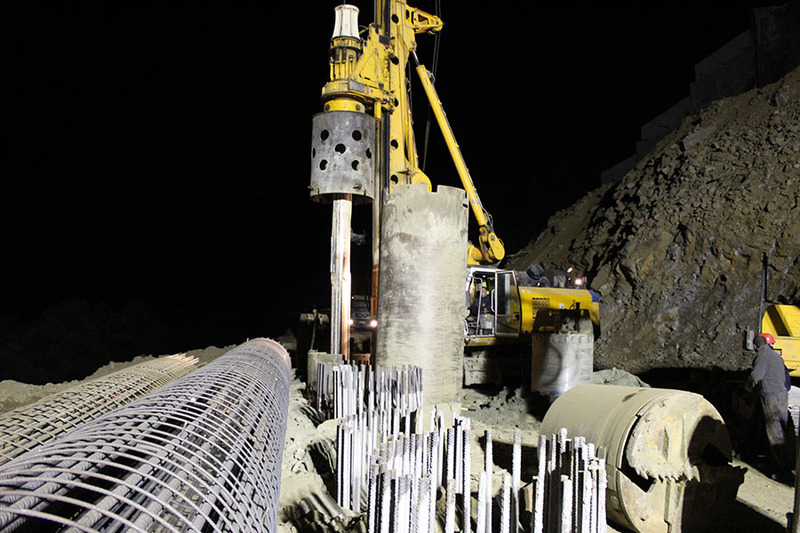 Slope protection is performed by spraying of shotcrete and by placing of SN anchors. 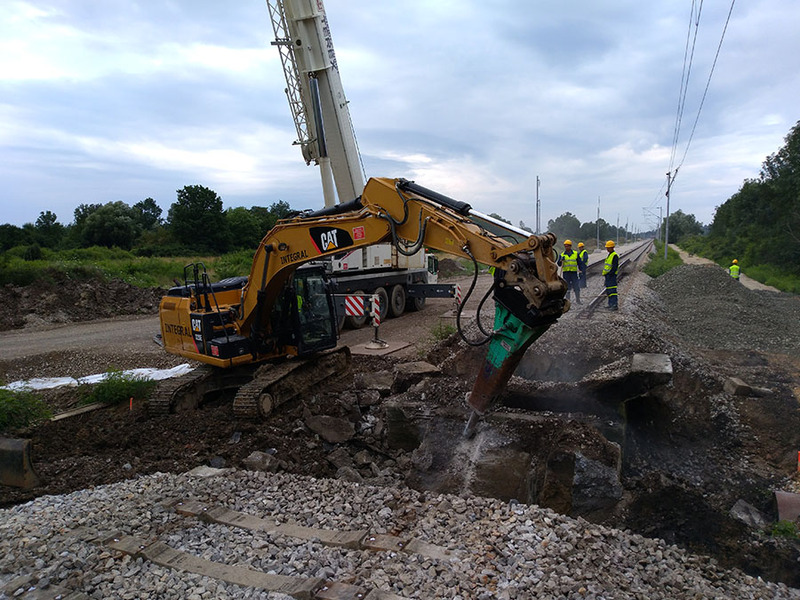 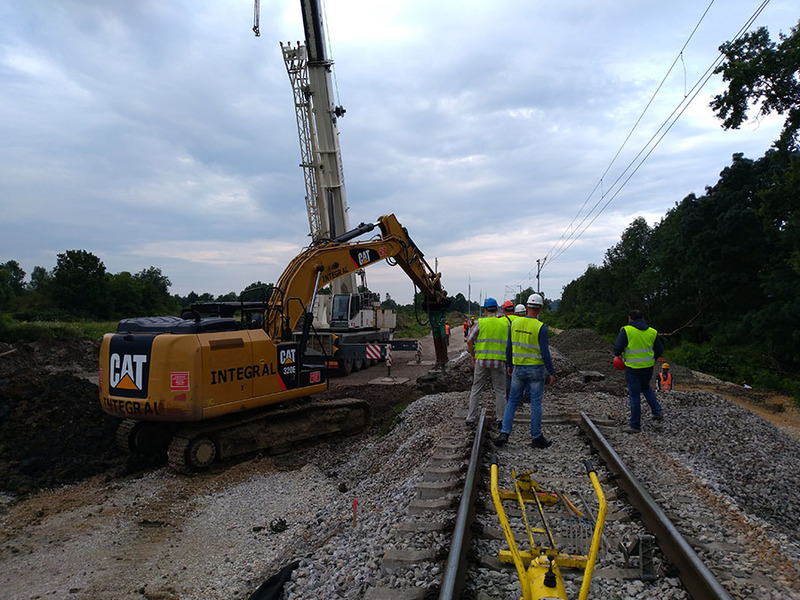 The total length of the newly constructed retaining wall is l = 411 m. Founding is deep on piles of diameter Ø = 1500 mm and it is executed in three different lengths: l = 16, 18 and 20 m. 181 piles were placed in total. 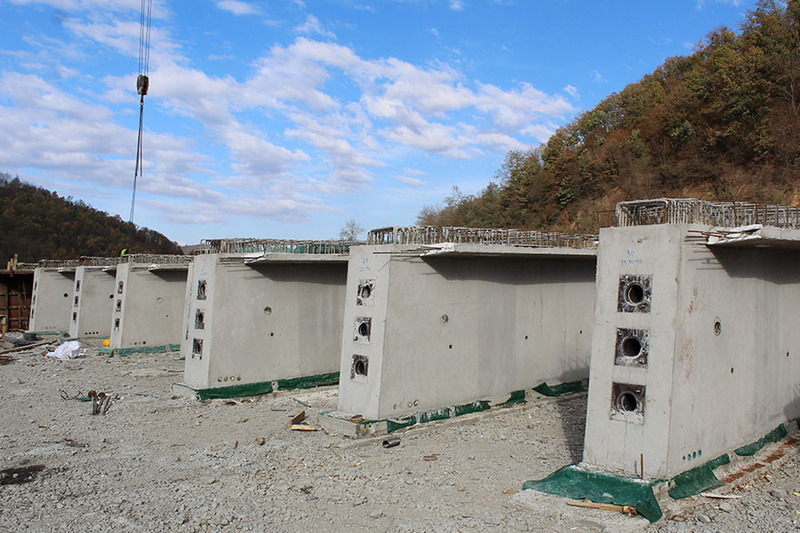 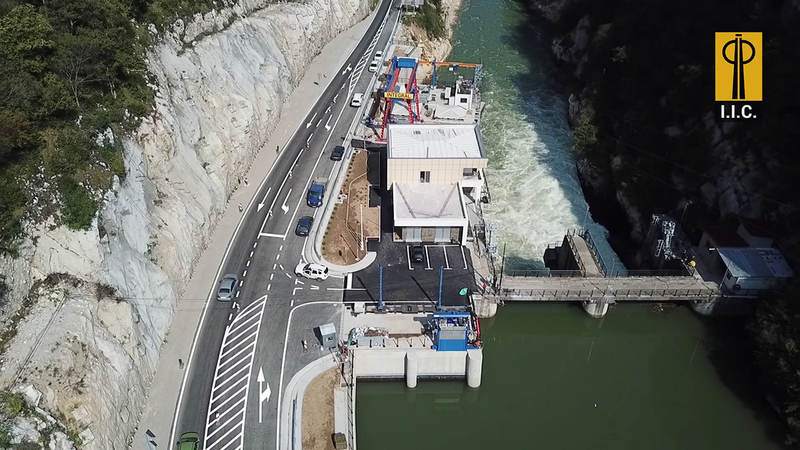 The structure is additionally secured by drilling of geotechnical anchors 8Ø15.2 in length of l = 40 m. The total number of anchors is 361, from which 180 are placed through the head beam and 181 through the wall buttress. 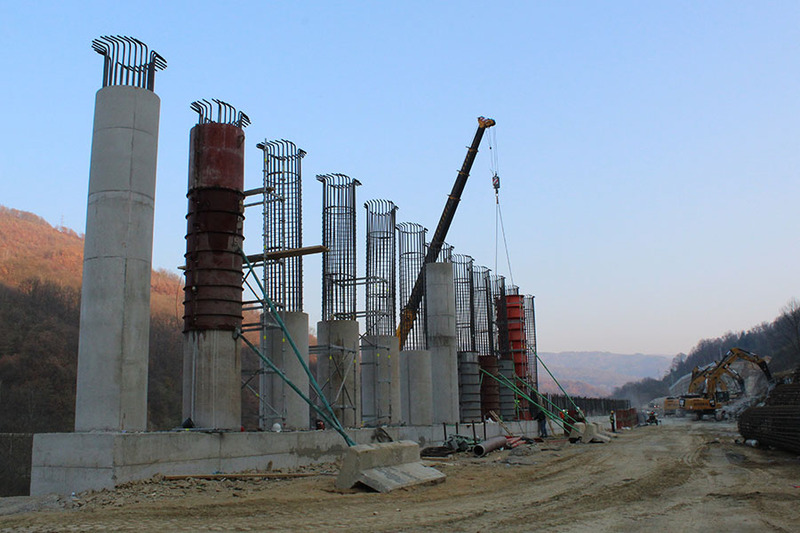 The supporting structure “K3” is construted in a hill above the structure “K1”. 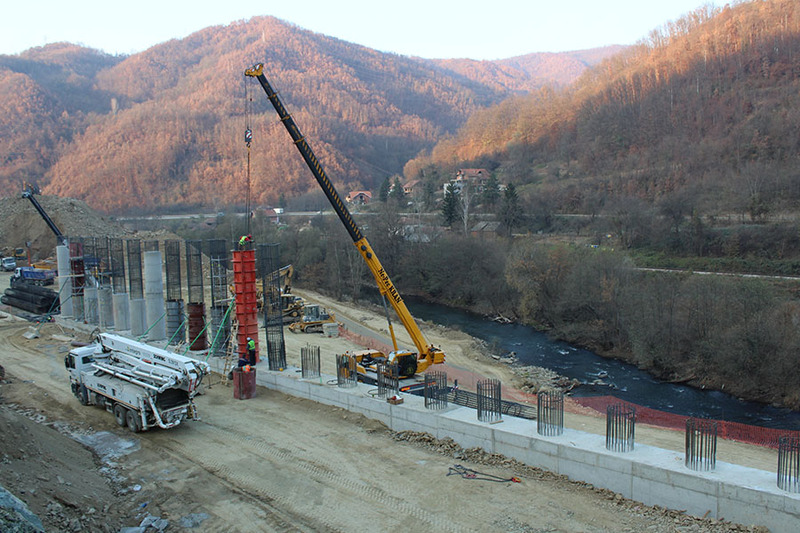 The works are in the initial phase and a working plateau for pile drilling rig was constructed. 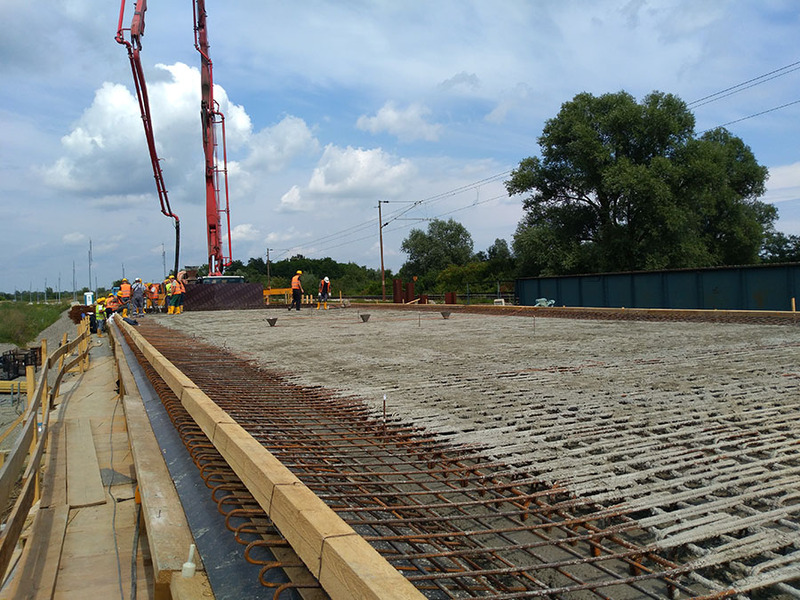 The structure “K3” will be constructed of reinforced concrete of length l = 210 m. Founding will be deep on piles of diameter Ø = 1500 mm. 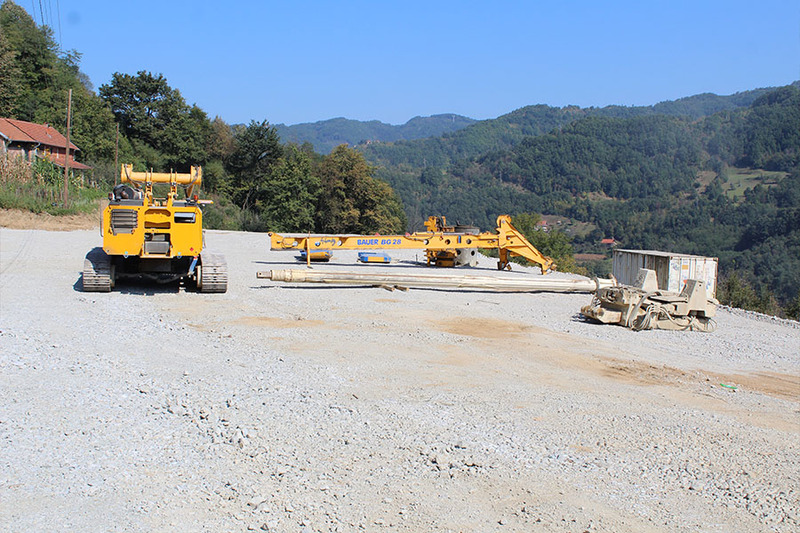 It is designed to be placed 91 achors of different lengths from l = 20 m to l = 36 m.
Through the structure “K3”, as well as through the structure “K1”, the geotechnical anchors will be drilled in a total quantity of 181 pieces. 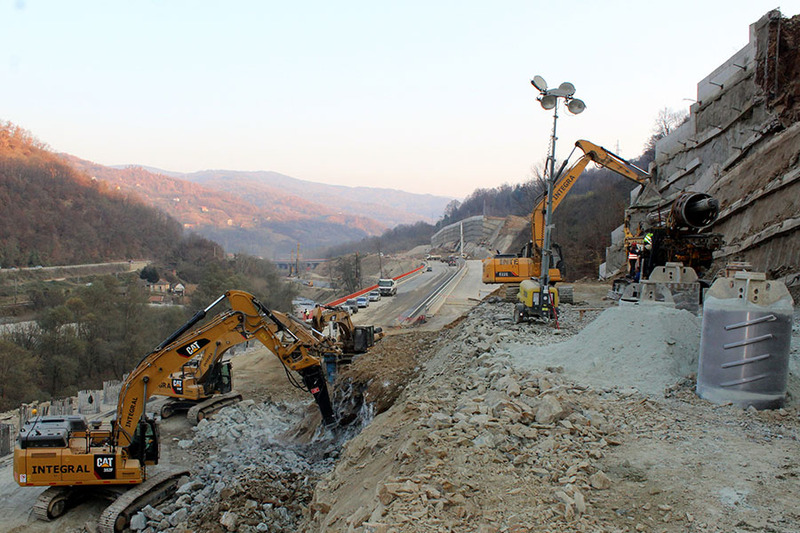 Protection of Cut 2 includes the execution of emergency works on the part where the slope collapsed. 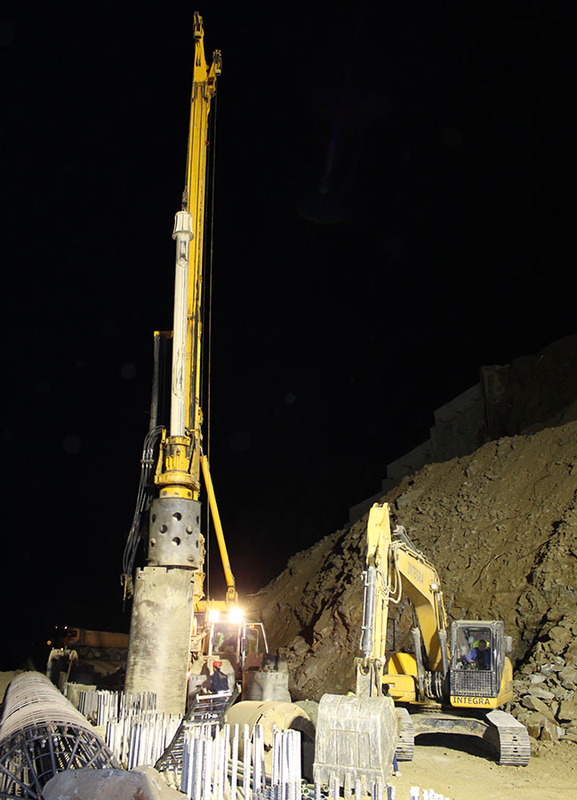 Removing of hill and material is performed during the day and the piles of diameter Ø=1500 mm and length of l = 15 m are drilled at night.